The H-920 is designed for horizontal flow. The narrow face to face saves room in piping systems and the disk stop prevents interference between the disk and downstream piping. 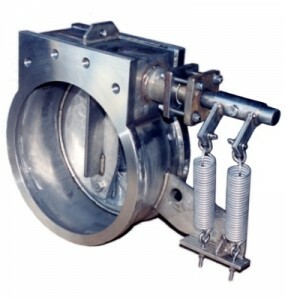 The valve is available with an external spring, counterweight or dampener. The valve has a wafer-style body (as shown), or with full flange and threaded bolt holes. The H-920 can be fabricated from any weldable alloy and is clearly marked to show direction of flow.